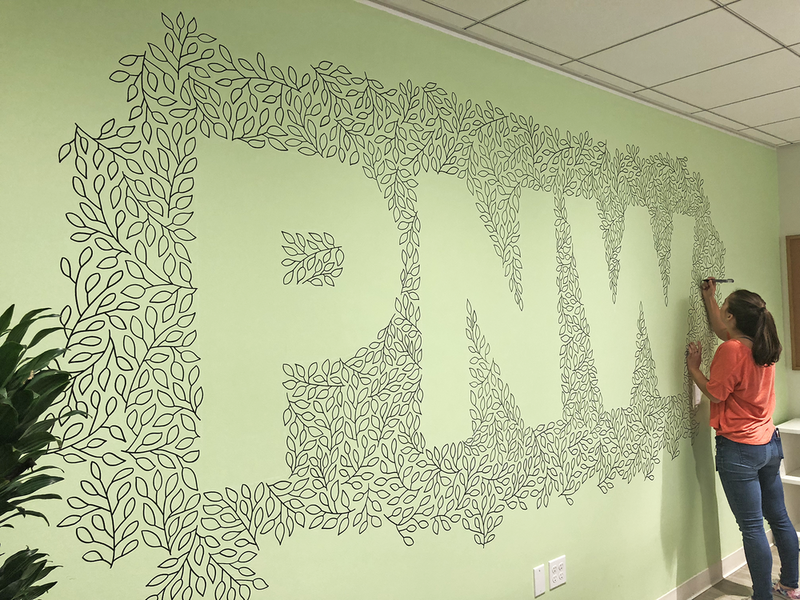 I had always wanted to create a mural. But slapping colorful paint all over a wall isn’t something you just try on a whim, you know? Finally I resolved to throw myself into the deep end and just try it. The only thing missing was a willing wall owner. 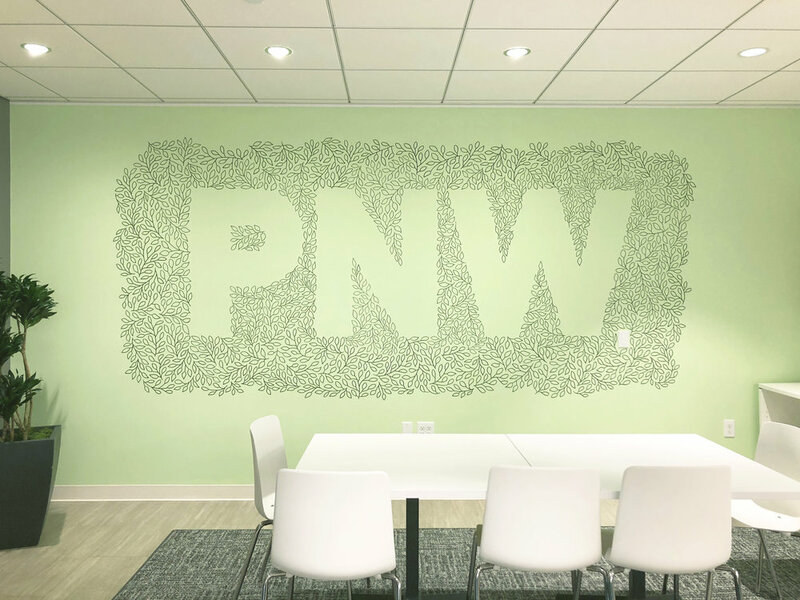 I approached our facilities manager at the Uber Seattle office and made a crazy proposal: I asked to take over a 17' wall in our office kitchen. The kitchen where engineers and product managers converge five or six times a day to refill on snacks and coffee. Foot traffic was heavy. To my surprise, the facilities manager gave me a chance. Like all good home improvement projects, my process began with a trip to Home Depot. 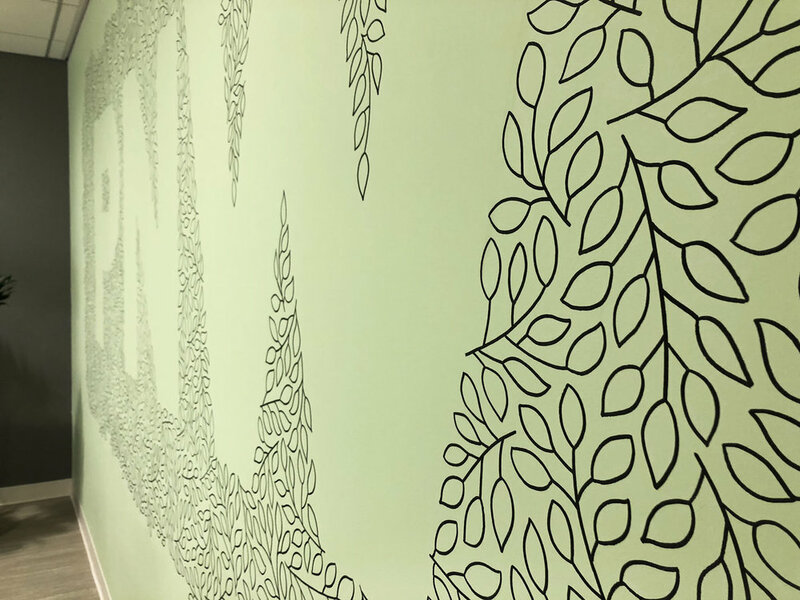 I spent an afternoon painting a few base coats of green paint on the wall before starting in on the design. To get the letterforms right, I projected the outlines onto the wall and traced them in chalk. 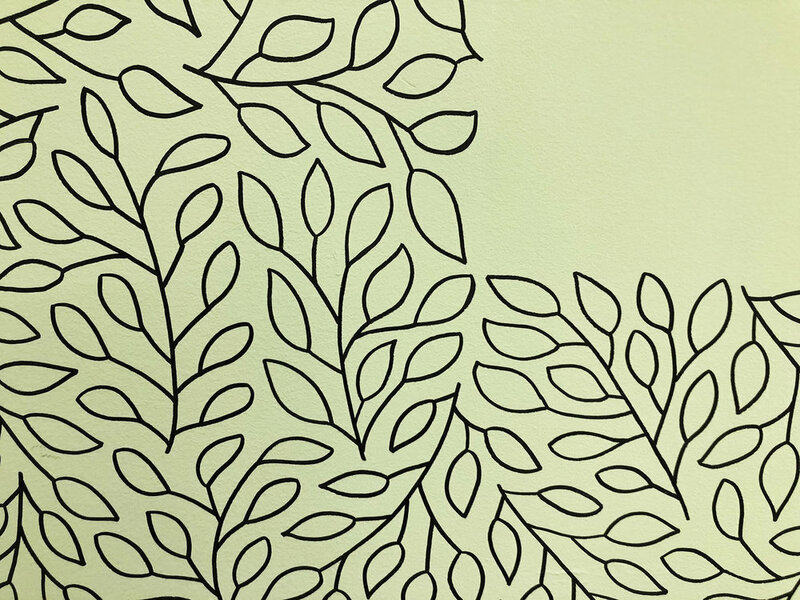 Then, using a Montana acrylic paint pen, I started on the hand-numbing work of drawing the leaves. I fully expected this part to take 10–12 days of hard labor, but was pleasantly surprised when I finished after two afternoons of working. (I’d like to thank the magic of noise cancelling headphones for my productivity during this time).